Ceiling fans are very important in creating cool breezes especially during summer when it is hot. 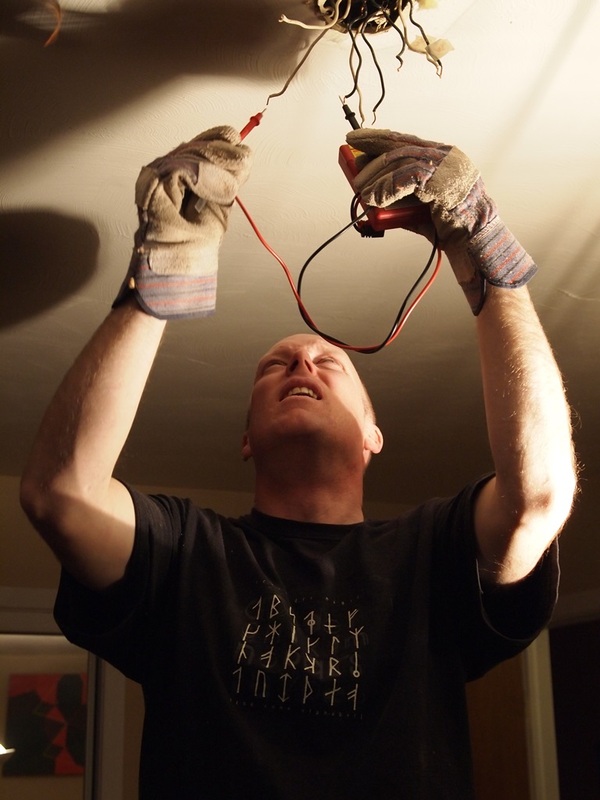 There is no mechanic’s difficulty when installing a ceiling fan. And most of them will have good knowledge of how to install a ceiling fan. However most fans are very heavy and it is considered wise to have someone to help when trying to install one. In the case of a ceiling fan, there is a need for it to be properly anchored to an electric ceiling box as this will help in holding it in place. These kinds of fans usually have separate light kits hanging below the fan. In most cases, the electrical cables are having three conductors which serve different purposes. One of them is black whose work is to carry hot feed, the other one is a white one and this is for the neutral, while the third one is an uncovered copper wire which is used for the earth. A red wire is also needed and this serves to control the light using a switch that is detached from the fan. By reading this article “How to install a ceiling fan”, you will have a draft knowledge about what you will need, and steps to this job. 1. Before attempting to do anything you must ensure that power is off. You can do this by turning off power from the circuit breaker that will provide power for the fan circuit. In order to ensure that you have turned the power off, you can check the wiring of the switches which are for the fan. This can be done using a non-contact wire. It is always considered wise to stick a sign onto the power panel in order to ensure that no one turns the power on while you are working. 2. Using a utility knife, cut the outer casing from the electric wire in the box in the ceiling because this is where the wire ceiling fan will be mounted. This should be up to five to seven inches. After doing that then you will remove half an inch of the highlighted padding from all the three wires that are insulated. Use wire strippers for this. 3. The ceiling fan kit has two fastening screws and these will be used to help you to install the wire ceiling fan support plate into the electric box that is in the ceiling of your house. A screw driver will also be needed in addition with the two fastening screws. After that then it is time you feed all the wires-the white, black, red and the copper wires via the hole that is at the middle of the support plate. 4. The motor for ceiling fan should be placed on to the floor in order to give you enough space and to position you well for putting the canopy above the motor. The wiring of the fan should be then passed through the hole that is at the middle of the fan canopy. The other wires should then be passed via the down rope pipe and then screws it above the fan. After putting the wires in place it is time now to fasten the rod back in place and this should be done by fastening and locking the bolt using tunable wrench. 5. At this step you will lift all the assembled fan kit to the supporting bracket and then suspend the canopy from the support plate. There are two black wires one from the fan kit and the other from the electric box and their ends should be connected together using wire nuts. Similarly, the white cased wires should be connected just like the black ones. However, for both the green wires remaining, these should be connected to the uncased copper wire. The wire coated in red, on the other hand, should be connected to the other remaining wire that is from the fan. Remember that electrical boxes that are used for holding ceiling lights are usually not strong enough for holding ceiling fans. Because of this you should ensure that you replace the existing one with the one that is specially designed for holding ceiling fans. 7. Attach the fan blades to the blade iron using screws. After that the blades should be attached to the motor using the blade fastening screws. The screws used for this job should be driven in slowly and carefully in order to avoid stripping and make sure that they are securely tightened. You should also be careful with the blades in order to ensure that you do not bend them. 8. Below the fan motor, there are wiring harness hanging on it and the ceiling fan’s light kit should be attached on to them. When attaching them to the motor, this should be done by fastening the support screws. After that, install the lamb globes and the light bulbs to the lighting kit. 9. Finally, you should now switch on your power source and turn on your circuit breaker to test whether the fan and the lighting kit are working. Other fans are made with pull chains and if yours is one of these then you will have to turn your wall switches on then pull the chains in order to activate your fan and the light kit. If the fan and the light are working then it is high time you enjoy that cool breeze, you so desperately need. 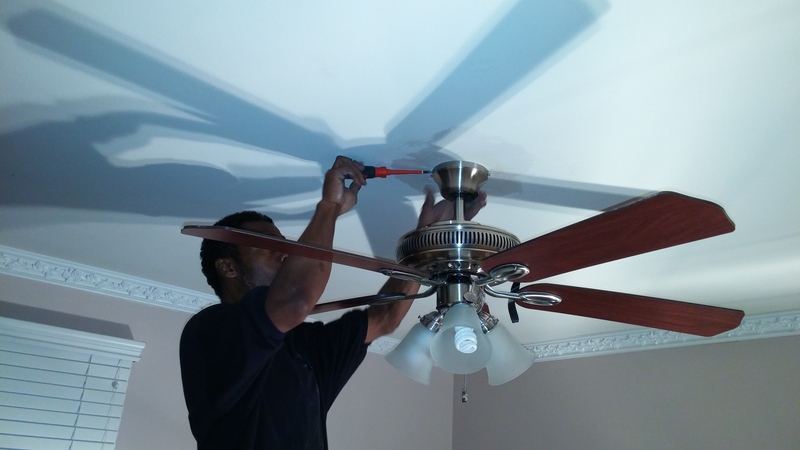 Installing a ceiling fan is very simple. Anyone can install it as long as you have all the needed equipment as well as instructions to guide how to install a ceiling fan. Ceiling fans are very good in creating cool brazes and this reduces all the strain of using an air conditioner. These fans are not only used during the summer only but they can also be used during the winter where they help in reducing cold by circulating heated air in a room. If you are installing a new fan where one did not exist, you should first consult with the building code to determine if you need any permit. Always remember to turn off electric power before starting any installation work and never rely on wall switches for protection against electrical shock.